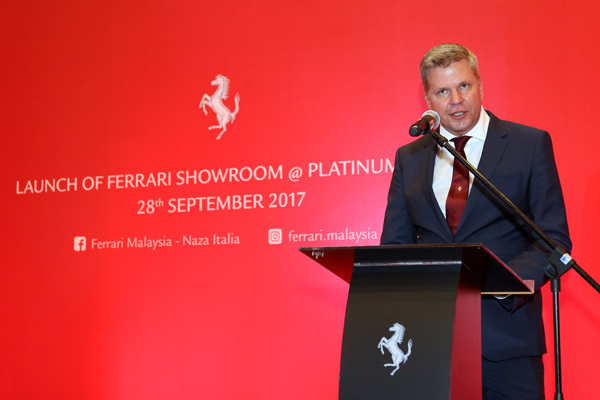 Kuala Lumpur (28 September 2017) — Naza Italia, the sole authorised importer and distributor for Ferrari in Malaysia, has broken new ground with the brand’s second Ferrari Showroom located at Platinum Park in the dynamic Malaysian capital, Kuala Lumpur. The Ferrari Showroom @ Platinum Park is purely dedicated to the Cavallino Rampante, welcoming its burgeoning clientele and Ferrari enthusiasts. A total of RM2.8 million was invested in the development of the new showroom, which is built over 3115 sq ft of the ground floor of Tower 1, Platinum Park, and accommodates three car displays, a luxurious customer lounge and configuration room. For the last 9 years, Naza Italia has been operating with its headquarters in Petaling Jaya. 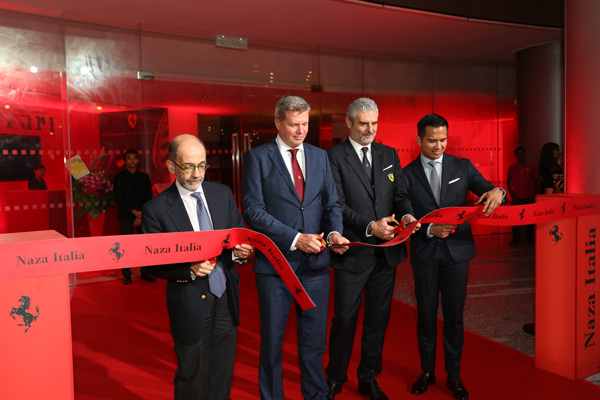 However, with significant growth in business, Naza Italia recognised the potential to extend Ferrari’s reach with an additional showroom in the bustling city centre. Being within the central business district and a very short distance from KLCC, the Ferrari Showroom @ Platinum Park benefits from a truly key location. Here, Naza Italia brings the Ferrari brand to the forefront of people’s minds and appeals to an even broader customer base. “Substantial growth in business calls for an expansion that enables us to better serve Ferrari’s discerning clientele. To address that, we are making the brand more accessible with a showroom in this prime location. We have always been committed to developing and nurturing relationships with our customers and know that it often means going the extra mile – so that they don’t have to! The Ferrari Showroom @ Platinum Park will assist us in reaching out and building upon those customer connections,” explained Datuk Wira Hj SM Faisal. 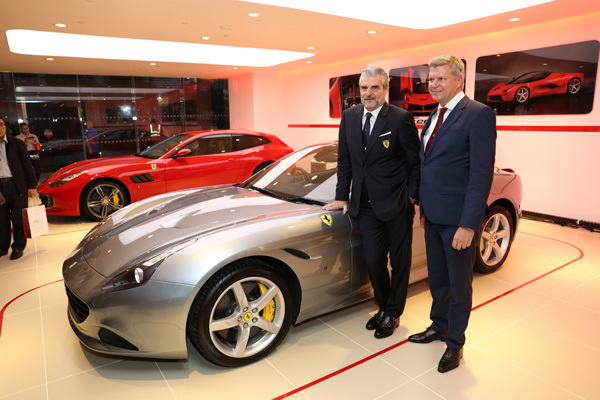 “Now, with the additional brand presence right in the heart of the city, Kuala Lumpur citizens are invited into the world of the Ferrari in a metropolitan setting. The Ferrari Showroom @ Platinum Park is somewhat of an appetiser, presenting Ferrari enthusiasts and potential buyers a taste of the latest offerings from the Cavallino Rampante and a preview of the experience provided at the more comprehensive showroom in Petaling Jaya,” he added. 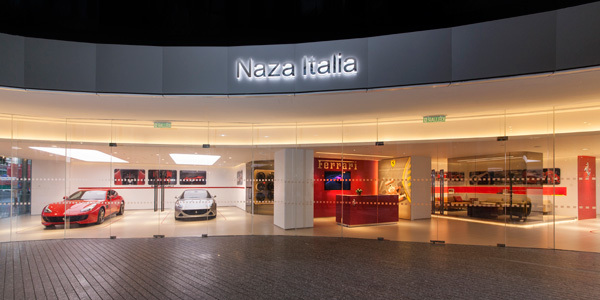 Naza Italia, recently also opened the doors of its freshly renovated service centre. The state-of-the-art facility, which is located directly behind the Naza Italia Showroom in Petaling Jaya, is the nation’s only authorised service centre for Ferrari. The after-sales service centre was renovated according to the latest guidelines from Ferrari. 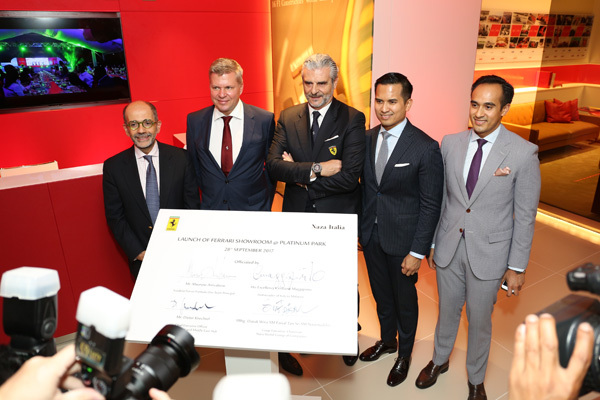 A total of RM5 million was spent on the facility and the upgrade is a reflection of Naza Italia’s commitment to the signature marque and clientele and will allow the team to better serve its customers and to accommodate future expansion of the brand in Malaysia. Tower 1, Platinum Park, 11, Persiaran KLCC, Kuala Lumpur City Centre, 50088 KL. More exciting information about Ferrari Malaysia may be obtained at www.facebook.com/ferrarimalaysia.nazaitalia. Follow @ferrari.malaysia on Instagram for the latest updates and offerings of Ferrari and Naza Italia. Next: GoPro HERO6 sets New Bar!